The San Diego Union Tribune has a sports writer who has been around seemingly forever named Nick Canepa. Nick is a good writer, brash, candid, sort of a machine gun Jim Healy style. I like his work. Been writing here in his hometown since 1971. One thing that bugs me about Nick is that he constantly refers to the now departed Chargers as Judases. On a regular basis, try every day. For your information, Judas Iscariot is the disciple that sold out the Christian savior for thirty pieces of silver, in case you didn't know, and he has been the cause of a lot of anti semitism and problems for the tribe ever since. I think I found over thirty similar references, not counting twitter, not trying too hard. And they make me rather ill. So I wrote Nick a letter yesterday. As a San Diego native currently living in my sixth decade I want you to know how much I enjoy your writing. Even follow you on Twitter. But as a jewish man I want you to know that when you use the Judas adjective it pains me a bit. For centuries or millennia the reference has been used to castigate jews as unfaithful and being responsible for killing the christian savior. You are free to write what you want of course but I think that you are smart enough to come up with another aphorism that is less emotionally charged and offensive to some and free from religious baggage. Not changing it. Some like it, some don't. I started thinking to myself ,"I wonder what ex Charger Ron Mix would say about the subject or even the first Charger coach Sid Gillman, an old friend of my fathers? They were both jewish." I can't see insensitivity in it. Judas was a betrayer. It has nothing to do with castigating a religion, which, by the way, I admire very much. "The most important fact about Judas, apart from his betrayal of Jesus, is his connection with anti-Semitism. 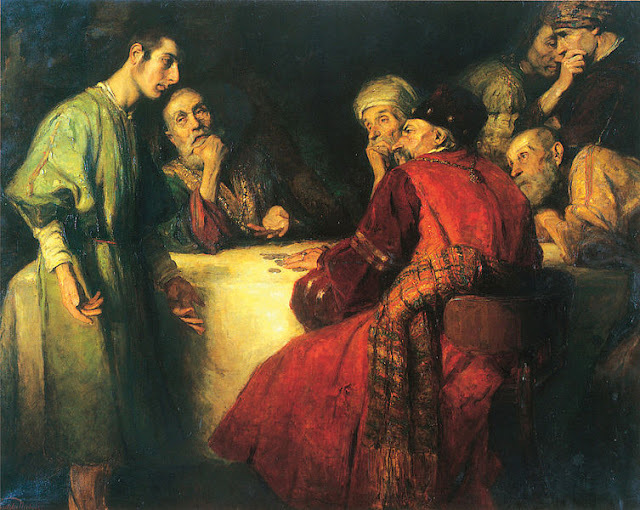 Almost since the death of Christ, Judas has been held up by Christians as a symbol of the Jews: their supposed deviousness, their lust for money, and other racial vices." And that is where it ended. Am I being oversensitive? I don't think so. The invocation of Judas to vilify jews as deceivers and betrayers dates back to the first century and heavily influenced the nazis. Another good article on the subject here. The majority religion and its adherents don't always get it. I have recounted this story before; being at YMCA camp in Cloudcroft with my brother around 1966, nine years old. In a scene right out of Lord of the Flies being surrounded at the campfire by about a hundred kids screaming at us that we had killed Jesus. I was a bit shocked, I had never killed anything but a tadpole or two. I will never forget the particular feeling I experienced that day of being on the outside and I don't think I ever will. Yeah, but you made it out alive. Consider that a major victory. They had every right to sew back the foreskin. Majority rules.